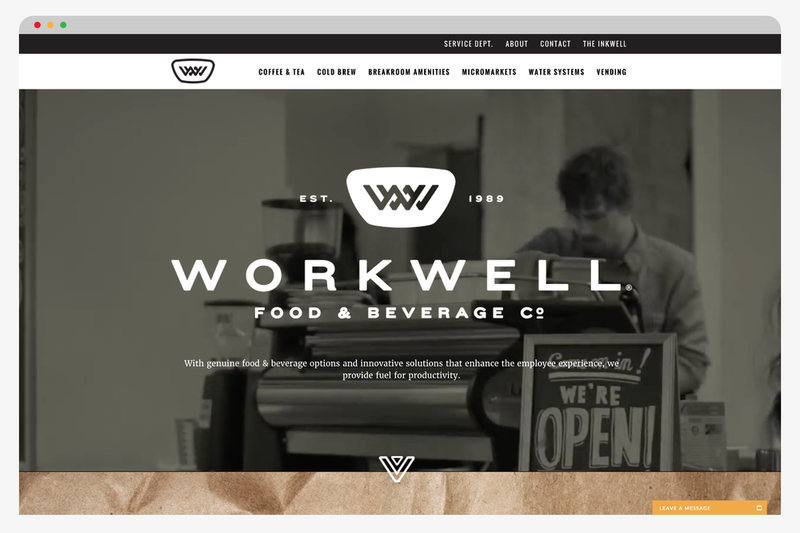 Workwell Food & Beverage Co. Formerly known as "The Classic Group" - Workwell, based out of Chicago, is a vending and beverage services that was looking for a brand update reflecting their time-honored brand tenets: Genuine, Enhanced Experiences, Downtown, & Everything's Possible. The direction for this rebrand was a mix of classic american, rugged, yet approachable.